On my morning walk this morning I saw the two coyotes again! This time they were on the opposite side of the lake, just hanging out. I’m glad that I decided to walk around the whole lake instead of stopping halfway and turning back like normal because then I would have missed them. They were laying on the frozen lake, soaking up the sun’s warmth. I tried to get close enough to take a good picture, but the moment I stepped off the path and onto the leaf-covered ground, they heard me. One of the coyotes even stood up and walked a bit closer to me. I think he was protecting his mate. I moved on but kept stopping on occasion to try to get a better view. 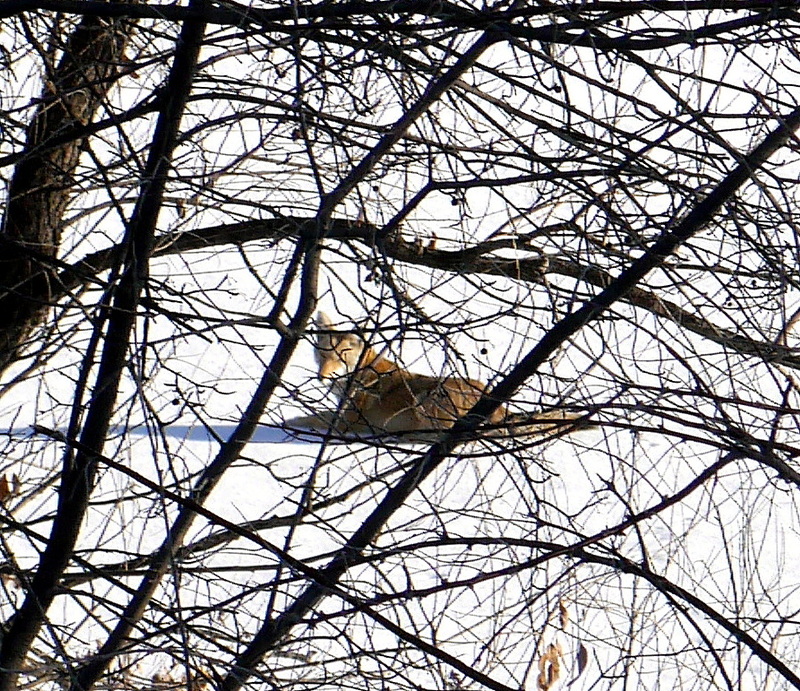 Every time I looked towards the coyotes, I could see one of the the one laying down watching me. It’s quite interesting because the thing looked like a large, friendly dog. If only it was safe to go up to it and pet it. But I think staying a far away distance is the wisest thing at the moment. In the end, it was a happy surprise and an incentive to walk around the lake everyday instead of staying on one side. Below is the best picture I was able to get. Maybe next week I’ll have a better one! This would look awesome in a black frame.